Demands on the agriculture sector are becoming ever more complex. Farmers in Africa need to increase their production by 70% in order to feed the continent’s growing population. Farmers in Asia have to react to new consumer behaviour and corresponding food standards. In South America, farmers are striving to meet the growing market demand for monocultures such as coffee and cocoa. Across all continents farmers face the challenges of adapting to climate change and protecting natural resources. Access to weather data, salient market information and the visualization of best practice technologies, tips for plant protection and simple tools for efficient production planning can help improve the daily work of farmers. The Bonn based consortium of AFC and KIAG has taken on this challenge. Drawing on over 40 years’ experience in agriculture world-wide, as well as our expertise in information and knowledge transfer using Information technology (IT) through simple applications, we have developed the agri@bonn software. 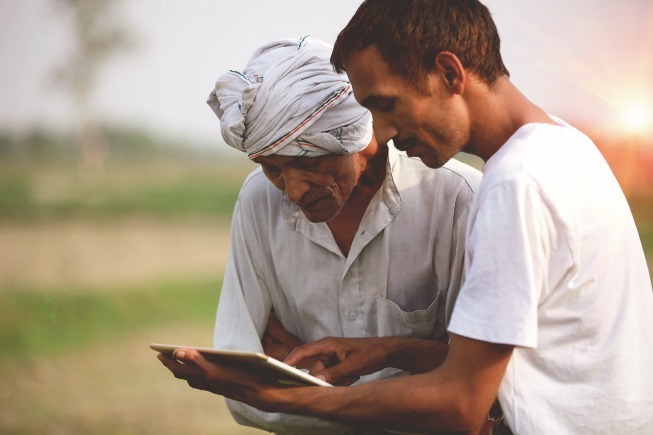 Classical extension and advisory tools have been coupled with digitalization, in order to provide farmers with direct and fast support. A number of functionalities have been and are being continuously developed. Farmers are not the only target group. Technicians and farmer organisations require data analysis in order to make informed decisions. Governments and international organisations want to make precise decisions in order to tackle the challenges of the agriculture sector. Monitoring and evaluation can be independently generated in order to demonstrate effectiveness. IT offers a number of ways to support processes and facilitate functions. The base-version of the software agri@bonn is available to all users. Further functions in the extended and advanced versions are tailor-made for customers.